More than three-quarters of business economists expect the U.S. to enter a recession by the end of 2021, though a majority still anticipate the Federal Reserve will continue raising interest rates this year. 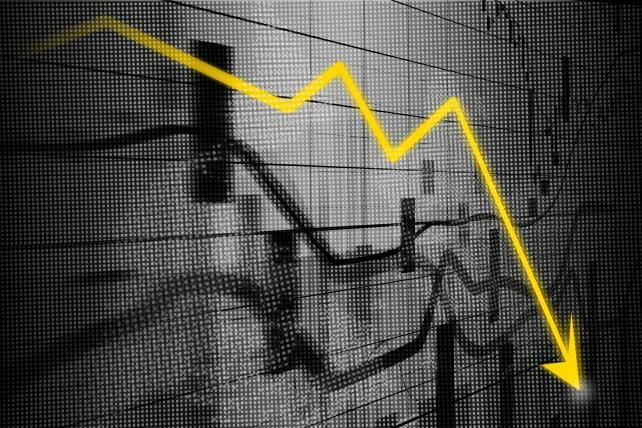 Ten percent expect a recession beginning this year, 42 percent project one next year, while 25 percent anticipate a contraction starting in 2021, according to a semiannual National Association for Business Economics survey released Monday. The rest expect a recession later than 2021 or expressed no opinion, the Jan. 30-Feb. 8 poll of nearly 300 members showed. The projections come ahead of the Commerce Department's release this week of the advance reading for fourth-quarter gross domestic product, which was delayed by the government shutdown. Economists surveyed by Bloomberg projected as of Friday that growth cooled to a 2.5 percent annualized rate in the final months of 2018 from 3.4 percent in the third quarter. NABE members were divided on the impact of the Fed's balance sheet normalization process. Asked about the effect of the tightening on short-term funding rates, a fifth anticipate no impact, a fifth said it would raise rates by 25 basis points, and another fifth said they would rise 50 basis points or more. The remaining respondents didn't know or express an opinion. "There is a schism between what the NABE panel and the markets think about the Fed's rate path and the shrinking of its balance sheet," said Megan Greene, chief economist at Manulife Asset Management and chair of the survey. "Markets are pricing in no more interest-rate hikes in 2019, whereas a majority of the NABE panel expects one or two rate hikes." A plurality of 23 percent expect the Fed to raise the main rate 50 basis points to 3 percent before beginning to cut rates. Eleven percent said the next rate move will be an easing. President Donald Trump's trade policies remain a concern for most of the panelists. Thirty-six percent said the existing tariffs, if they remain in place, will reduce 2019 gross domestic product growth by 25 basis points, while 26 percent anticipate a drag of 50 basis points and 15 percent of panelists expect the reduction to exceed 50 basis points. Economists also expect the tariffs to boost inflation this year.